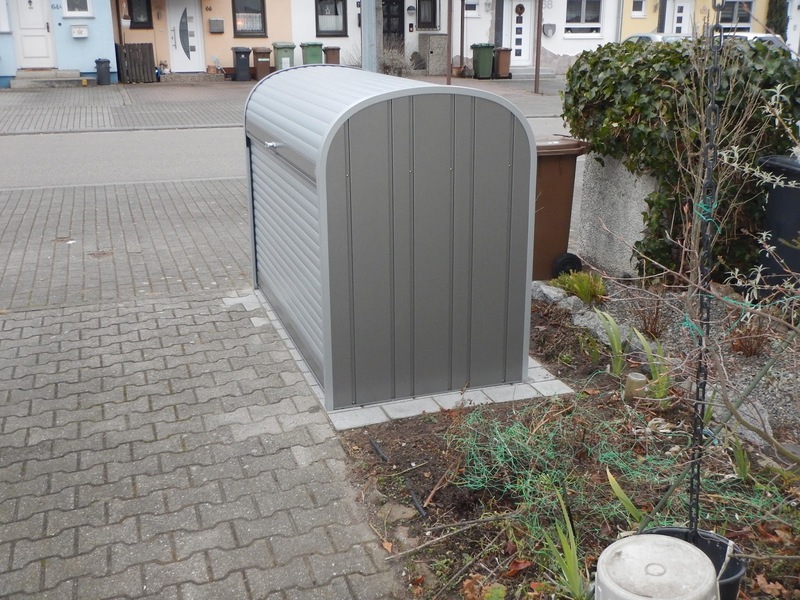 We ordered and took delivery of BioHort bicycle garage recently. It comes knocked-down in two boxes weighing about 90kg. The two boxes were delivered in a 38ton lorry. We were obviously the last customers on this run as the load area was empty apart from a number of pallets. It struck me that using a diesel powered 38ton vehicle to deliver 90 or so kg was overkill. The same can be said of DHL, Hermes, UPS etc. who deliver smaller packages daily in diesel powered vans with a capacity of up to 14 cubic metres and a payload of two or so tons. The Mayor of London has suggested that the British government pay diesel powered vehicle owners to scrap older dirty diesel vehicles and replace them with petrol engined ones (https://www.theguardian.com/uk-news/2017/feb/12/london-mayor-plans-to-scrap-diesels). Munich has recently started a programme of subsidising purchase of electric cargo bikes and trikes (http://tinyurl.com/gv6t917). Our small German town, Viernheim, is part of a three province conurbation based around Ludwigshafen, Mannheim and Heidelberg with a number of smaller towns and villages in between. DHL distributes packages from a central office. 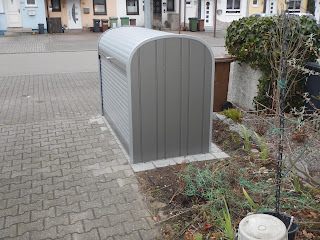 It would ease air pollution if packages were then distributed by lorry to a centre in each town where local deliveries could be made by cargo trikes such as the Musketier (http://www.radkutsche.de in German) which can carry a maximum load of 300kg or the powered or unpowered Carla Cargo bicycle trailers (http://www.carlacargo.de/en/). Most of the settlements have letter distribution centres where the packages loaded on a pallet could be picked up. UPS has pioneered low polluting deliveries in city centres for some years. In cooperation with the city of Hamburg, only e-transporters have been used since 2012, and in the inner core there is the package delivery of four mobile parcel depots on foot, with a sack truck, a bicycle and pedelec. Each day, pollutant-free deliveries over ± 800km of were made. The concept is now much in demand and has been adapted to Offenbach am Main, Herne and Oldenburg. This concept may well involve higher costs, but on the other hand blocked up lungs and heart problems due to pollution are not cheap to treat.